It has been an interesting few months in our household. As part of a job change, I’ve moved to Nottinghamshire and the ensuing upheaval has meant that my vintage exploits have been put on hold for a while. But one of the joys of moving to a new area has meant a whole new set of vintage opportunities to explore and I look forward to sharing them with you. 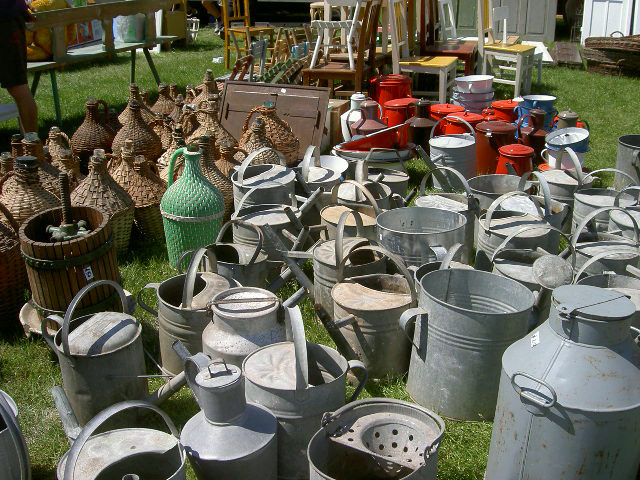 This weekend was one of the best known and biggest fairs in Britain, the Newark International Antiques Fair. 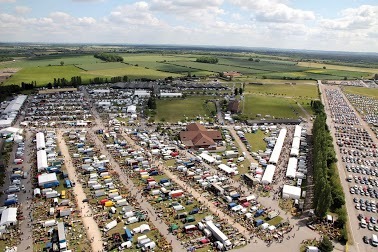 This enormous fair takes place over two days at Newark County Showground. The first day is supposed to be the best, with an 8 o’clock start for the dealers and the really keen. Unfortunately I couldn’t make it until Friday which was the second day. This was the warmest and sunniest day of the year so far, so I slathered on the Factor 50, slapped on a hat and made an early start. I quickly realised that there was no way I was going to be able to see everything. As well as stands in the showrings, there were smaller and pricier stalls in the indoor areas, rows of tents each with their own stand, and stalls set out in the livestock sheds. 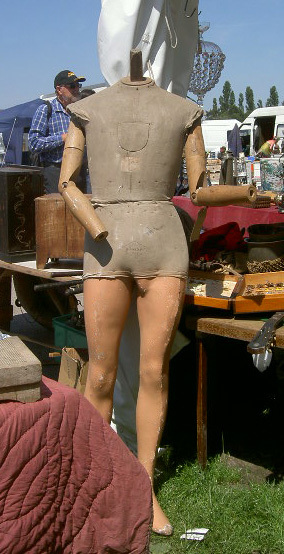 I’ve seen shop mannequins before, but never a male one that’s jointed, or quite so anatomically correct. 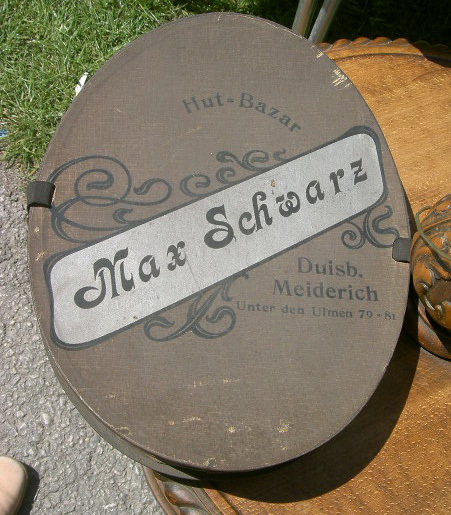 There were a lot of antiques from Europe, including this German opera hat box which was about an inch thick. 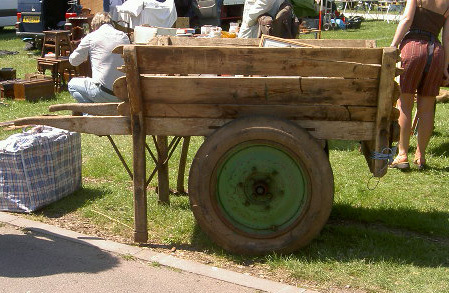 There were vans from eastern Europe, including an articulated lorry from Hungary that had brought over this load of bottles, enamelware and galvanised items. 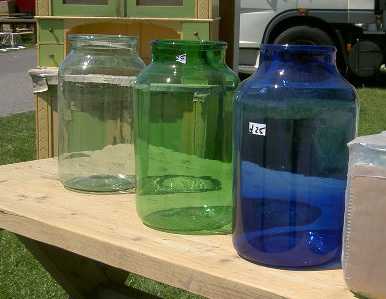 Also from Eastern Europe, I loved these coloured glass jars. And only £25 each! I’m not sure if this came from Eastern Europe, but it certainly looks as if it could have. 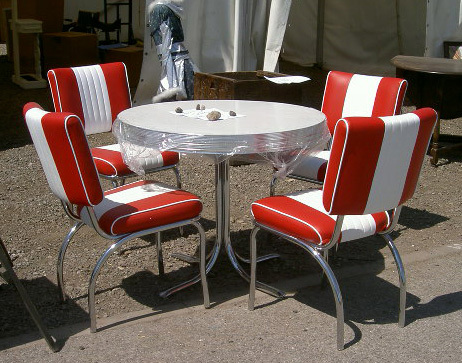 Imagine this in a retro kitchen! 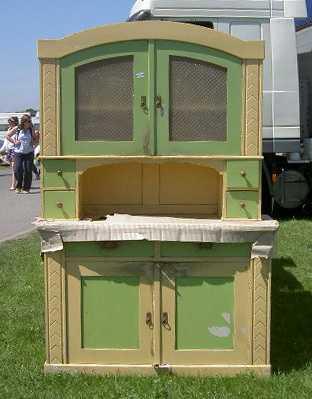 Or if you prefer something a bit more vintage, this painted cabinet. Did I say it was hot?! 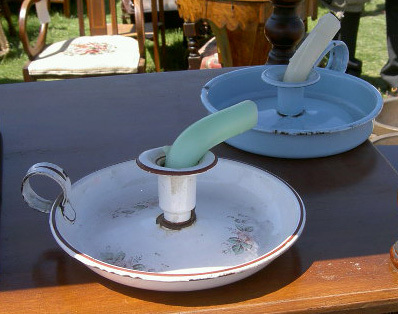 Look at what it did to these candles! 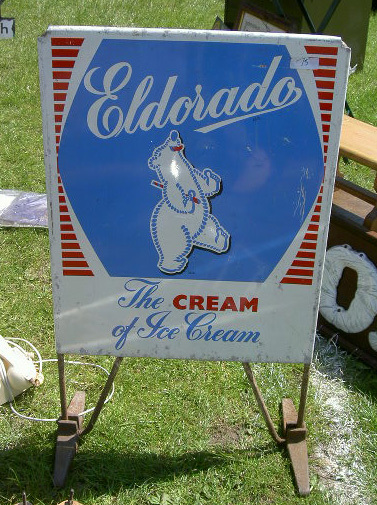 Such a shame there wasn’t an ice cream stand to go with this sign! 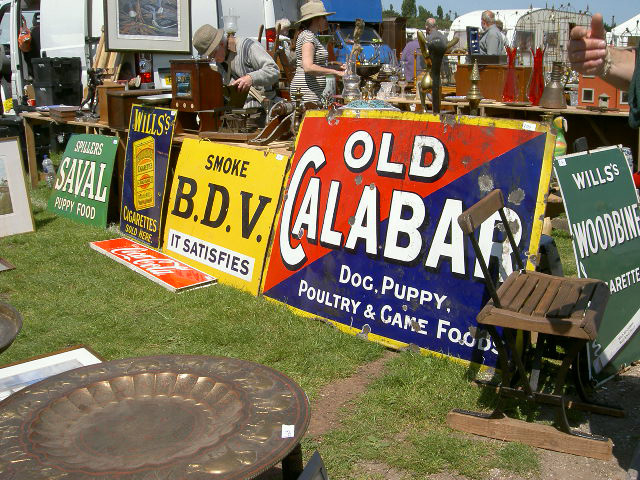 Plenty more enamel advertising signs. I had expected to be able to wander round until the end of the fair, but many stallholders started packing up after lunch and the grounds rapidly emptied. 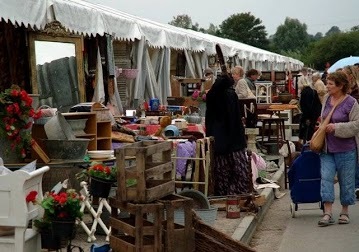 That said, it was a great time to get bargains and I even saw stock left on the field after stallholders had left. This is definately going to be a regular event on my calendar, but next time I’ll know that it is definately worth paying the extra to go on the first day of the fair.